Growing up I never had a pet. This is crazy to some people but I swear, I never once had a pet. No fish, hamsters, cats, dogs, llamas, turtles… none. In the past few years however I have come to the realization that I love dogs. It all started when I dated someone with a dog. A big one. A big, loveable, snuggly one. After meeting him it was like a part of my brain opened up that I never knew existed. All of a sudden I found myself being one of those people who can’t help but talk to peoples pets everywhere I go. It’s such a joy to be staying on a farm with so many animals, especially two truly wonderful dogs that always want to play. 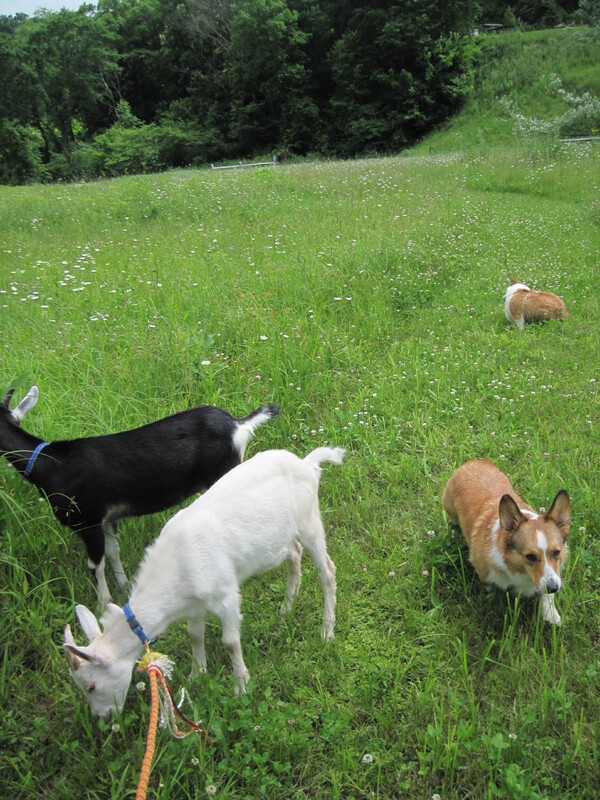 I am saying all this to justify the fact that I am now going to post pictures of the corgis, Freddie and Dolly. Enjoy. I know I do!